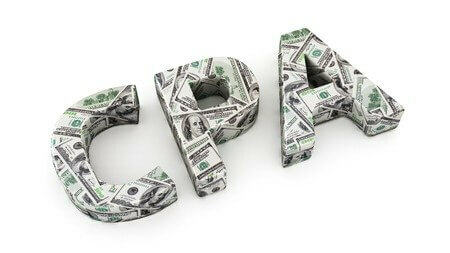 CPA is – in my opinion – the most important metric in a PPC campaign – definition of PPC. In order to effectively track your online marketing campaign, you need to know what you are paying per acquisition. These metrics are important to any analyses of a campaign. Why is Cost per Acquisition so important? Cost Per Acquisition is the sole metric in determining true return on investment. Even metrics like clicks, reach, visibility etc. – if your campaign is not generating revenue or another tangible gain, it’s not successful. This entry was posted in Definitions, PPC, SEO. Bookmark the permalink.